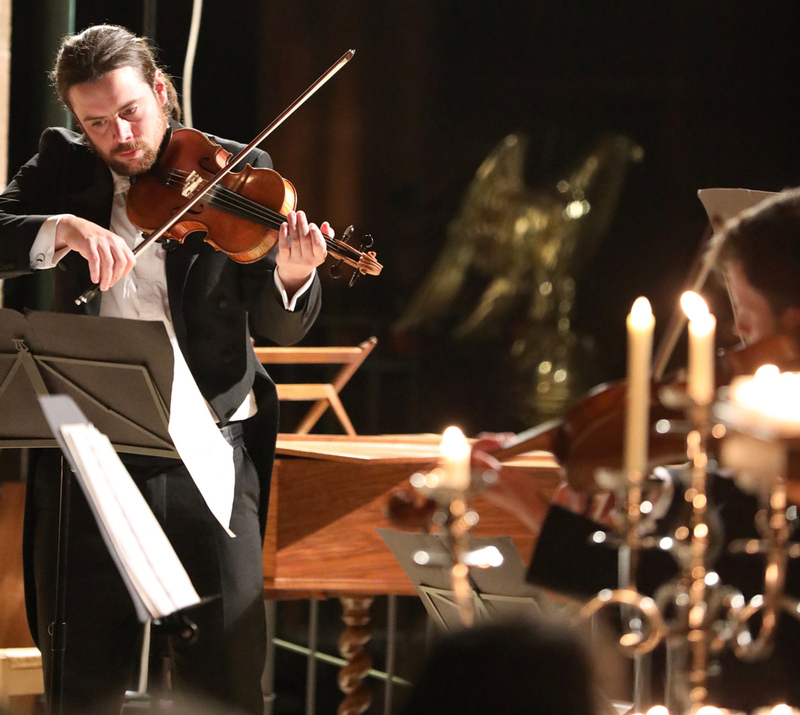 Indulge in the richness of Mozart’s ‘Symphony No. 29’. Composed when was only 18, this piece is one of the first in which we really hear his symphonic voice come to fruition. Its’ gentle opening theme, contrast with its’ dazzling third movement, makes for joyous listening. Following this is his ‘Sinfonia Concertante’ - relax in the candlelit ambience of the cathedral, and bathe in the piece’s warm expansiveness as London Concertante brings out the life and energy of the penultimate piece in the program. The evening is completed by Vivaldi’s iconic ‘Four Seasons’. Four concerti full of glistening melodies, enthralling instrumental interplay and staggering string writing, this is one concert you do not want to miss.